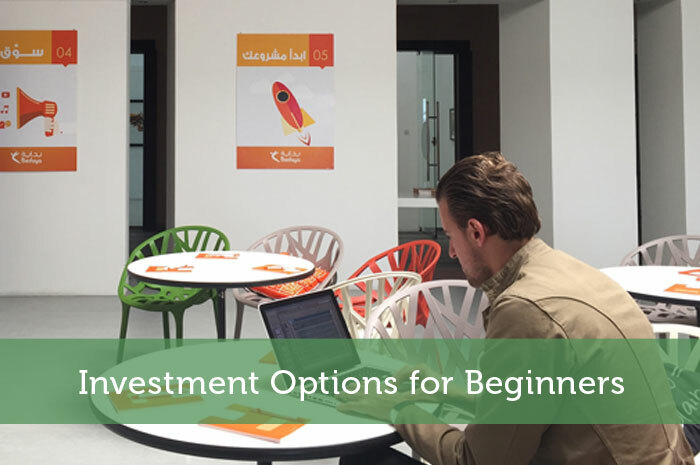 The following is a guest post investment options for beginners. If interested in submitting a guest post, please read my guest post policy and then contact me. Learning the tricks of the trade! For most people, life revolves around living from one paycheck to the next. Only a handful of folks have mastered the art of saving and investing effectively. Note that saving is not the same as investing, although both require putting money away. In order to invest, it’s imperative to be able to manage expenses effectively. Investing is done in the hopes of yielding a future profit, and risk is inherent in it. However, this is not to say that there are no safe investments, because that would be misleading. It appears that everyone is seeking the Holy Grail of investment strategies, but the best that anyone can hope for is sound advice, good budgeting and an in-depth understanding of market mechanics. As you delve deeper into the markets, so you will learn to ascertain which investments are more likely to yield profits than others. Commodities, indices, stocks and currency trading are part and parcel of an exciting trading arena. Trillions upon trillions of dollars in daily trades are bought and sold at the world’s leading exchanges. Such is the bustling nature of the investment universe that there is always room for new traders and plenty of opportunities abound. The good news is that the sheer size of the markets precludes the possibility that any single entity will be able to adversely affect the markets long-term. The old adage ‘buy low, sell high’ is often tossed around as sage financial advice. But precisely how to invest your money requires a closer examination of those particular trading instruments that pique your curiosity. It may well be that as a new investor, real estate is to your liking. A home offers plenty of security – especially to investors with limited personal disposable income. The general trend indicates that property tends to appreciate in value over time – thereby providing a good hedge against inflation, with plenty of capital gains potential. Investors who are looking for smaller investments, short-term investments or diversified investment portfolios may shy away from pouring all of their resources into real estate. It may well be that short-term trading options like binary options, forex or futures may be preferable. In any event, your appetite for risk must be weighed up against the potential gains. The stock market is inherently volatile, and trading in options can go either way. That’s why the leading experts recommend that traders explore all possibilities, arm themselves with the requisite knowledge of market conditions and seek reliable online brokerages to assist in all their investment endeavours. A good idea is to diversify your portfolio with cash, CDs, options, stocks, real estate and so forth. As your knowledge grows and your trades become more profitable so you can increase your appetite for risk and greater financial gain. The markets are always volatile, but knowledge can turn the tables in your favour. Remember that the financial markets will always provide opportunities and risks, but an understanding of the markets will allow you to obviate the risks and seize the opportunities for higher profits. Click here for a comparison of the best online investment brokers. Author Bio: Brett Chatz was born in Johannesburg, Gauteng, South Africa. He attended the internationally accredited University of South Africa, where he completed the prestigious Bachelor of Commerce degree, with Economics and Strategic management as his major subjects. In concert with the primary degree, he completed several Bachelor of Arts courses, most notably English poetry and literature. In addition he enrolled at the University of Haifa in Israel to complete a post-graduate year in the Bachelor of Arts discipline. Solid advice. The majority of my funds are currently in “real estate”, but by the accident of leaving the UK and renting out my flat. However, when I return next year, I think I will leave my funds there, but increase my diversification through expanding my exposure to the market (through ETFs and individual equities). property is an ideal first investment because most people understand the basics of it. Monthly saving into an account investing into an index tracker would be a good alternative. I wouldn’t say real estate is the best first investment. You need to have a certain level of maturity to make a wise decision with property. Some basic investments like index funds would probably be better. I definitely agree. Just because you’re willing to take risks, it doesn’t mean it’s the best decision. That risk should be carefully calculated to put the odds more in your favor. Many beginner investors just aren’t willing to do that necessary research and monitoring. Right now, most of my investments are sitting in plain index funds. I may branch out once my account grows a little more substantial and I need to diversify. For now though, the index fund will do. I agree that there is nothing wrong with focusing on index funds early on. Having some international funds might help bring a bit of extra stability, but I don’t think it’s absolutely necessary if you have plans to move on to individual stocks in the near future. I’m about to invest in some real estate so this is a good time to read this! Also am planning to diversify with investments too. I don’t plan to play with stocks but will go the safer way with etf’s or trying out Betterment. It is hard to know where to begin, but you really can’t go wrong with a good mix of the options mentioned. Those are true. Investing should be a hobby one must practice if he wants to be rich or to improve his financial life. Great tips by the way! Nice article for beginners! I think you really can’t go wrong by choosing low-cost index funds if you’re uncertain about where to begin. Very informative thank you for the sound advice this article sure makes good sense low cost index funds is the way I went and found them to be safe!!! Thanks for the feedback guys. Yes, it appears that there is tremendous interest in this topic. I should add that there are investments that are safer than others. Treasuries, CDs, 401k, Roth IRA, investments in high-interest emerging market countries (beware of the downside), and others. I would definitely pick mutual funds and index funds as a safe bet too. Watch gold during times of global uncertainty too.